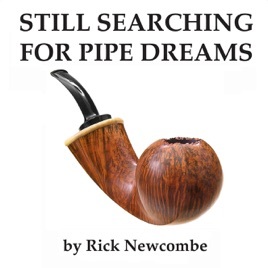 Still Searching for Pipe Dreams is the second in a series following Rick Newcombe's first book, the best-selling In Search of Pipe Dreams. Why would anyone still smoke a pipe in the 21st century when all forms of smoking are being banned around the world? Why are so many young people drawn to pipe collecting and artistic pipemaking with such intensity and passion? And why are pipe shows suddenly sold out, with waiting lists for tables? These young pipe enthusiasts are from America, Germany, Russia, Japan, China, Italy, Denmark and all over the world. Unlike mass-marketed cigarettes, pipe smoking has a rich tradition that goes back many centuries, and the author predicts it is the only form of smoking that will last many centuries into the future. He contends that moderate pipe smoking, without inhaling, promotes relaxation and clear thinking, and it serves as an ideal antidote to stress that is much safer than the tranquilizers that are so freely dispensed today. Unlike cigar and cigarette smokers, pipe collectors actually save their pipes. They clean and polish them and put them in racks or display cabinets. If they are broken, they have them repaired. Most pipe smokers remember when they bought each pipe in their collection, and every time they take a pipe out, it is a reminder of the past, to be enjoyed in the present, for many years into the future. 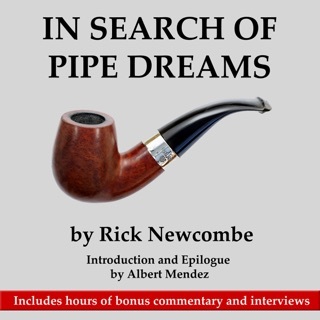 This book also is inspiring because of Rick Newcombe's enthusiasm and optimism, which shine through in every chapter and make it a fast-paced and enjoyable listen.